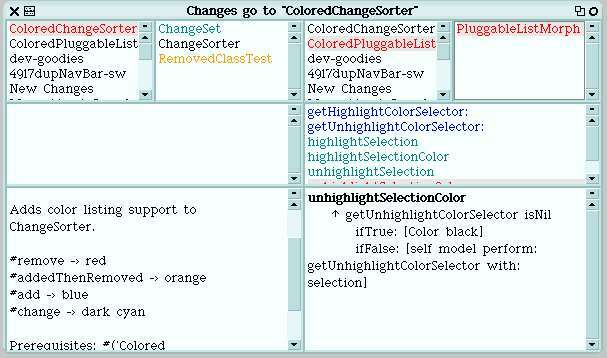 Adds some color listing support to Browser, ChangeSorter, and FileContentsBrowser. 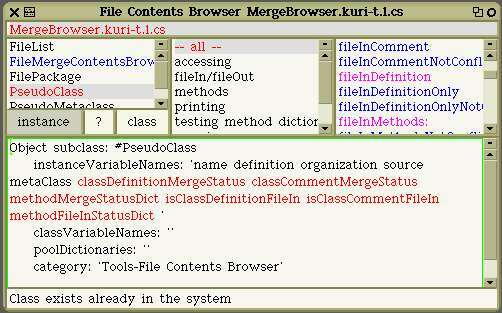 MergerBrowser can display two changeSets diffs in color. PLM refactoring forever is needed to install.